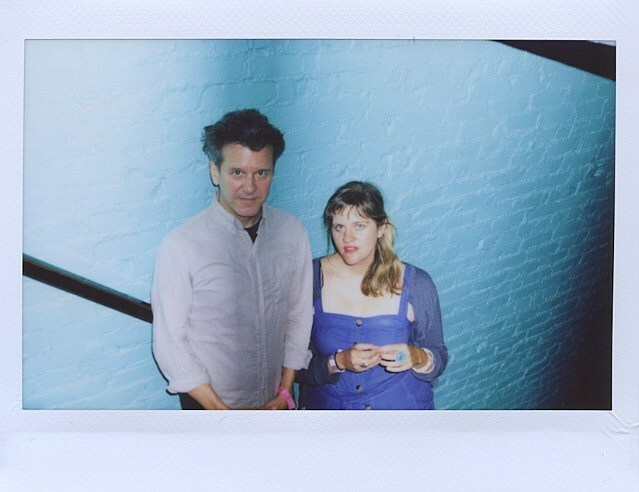 Harpist Mary Lattimore has teamed with Superchunk frontman Mac McCaughan for a new collaborative album, titled New Rain Duets and out March 22 via Three Lobed Recordings. With Mary on harp and Mac on synths, they created four ambient, ethereal instrumentals which they made back in 2017 as an antidote to the noise and angst of the post-2016-election. “Not that everything beautiful has to be immaculate or easy, or that dissonance doesn’t play a role, but the idea of playing music with no words, which is improvised and therefore new, was very appealing in the Spring of 2017,” Mac told Stereogum, who premiered the gorgeous “III.” Listen below. Meanwhile, Mary Lattimore and Meg Baird, who made the lovely 2018 collaborative album Ghost Forests, are on tour with Steve Gunn (which kicked off Friday, 2/1 in NYC). She’ll also be on tour with Deerhunter later this month and with The Messthetics (featuring ex Fugazi members) in March. All dates are listed below. Mary also just released a remix album of tracks from her other 2018 album, Hundreds of Days, featuring reworks by Julianna Barwick, Jónsi, King Britt and more. You can stream that below.